Modifying or rebuilding anything, be it a piece of classic stereo equipment or, perhaps, a classic car, will involve many value judgements and personal decisions. Some subtle, some not. No two audiophiles, or classic car buffs, departing from the same point, will finish in the same place. Be that as it may, this is my take on a cost-effective rejuvenation. I think I might have solved the mystery of the “two 12AU7 and one 12AX7” tubes that I noted in Part 1, had been installed in this unit. (The EAR phono board installed in this preamp is meant to use three 12AX7s.) It might be attributed to the fact that 834L line stages use a double 12AU7/single 12AX7 tube compliment. But how someone could mix up a phono stage and line stage is beyond me. In this instance, no electrical harm was done by having the wrong tubes installed. Or maybe someone was trying to reduce the gain. I’ve read reviews of the 834P where higher than typical gain was reported. Before Modifications: a whole lot of air in there. What I have attempted to do is replace parts known to age, electrolytic capacitors notably, as well as other parts – coupling capacitors for example, for improved audio performance. I’ve also provided more mechanical support for the circuit board, so there is less chance of damage to it when changing tubes. 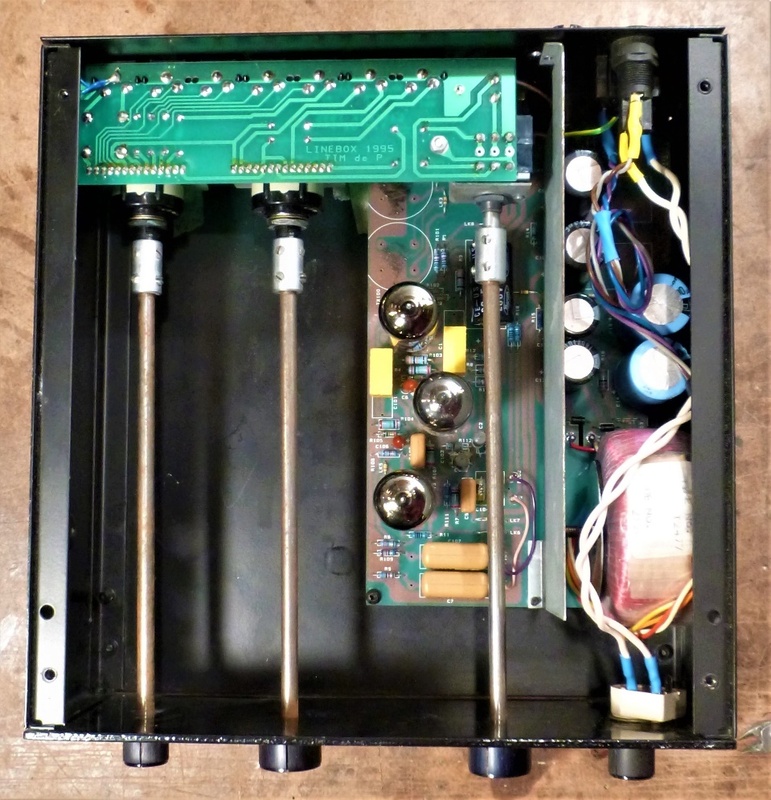 Moving the circuit board away from the power transformer was done to reduce hum induced by it into board-mounted components. Changing the phono input jacks (see below) was done for two reasons. Firstly, the Teflon dielectric in the new jacks will potentially lower capacitive loading on connected phono cartridges. Secondly, the original board-mounted jacks were connected to the circuit ground through more than one route. This multiple connection can be a source of ground loop hum. The multiple grounds would not exist in the original incarnation of a line stage-only 834L. As well, the phono inputs are now routed directly to the amplifier board – rather than through the secondary jack, switch and volume control board first. To carry audio signals between boards and jacks, shielded cable employing a Teflon dielectric was installed. A new Alps volume potentiometer replaced the worn and glitchy Alps original. In the picture below, the new phono input jacks, RF filtering caps and grounding bar can be seen on the left. On the right are AC line noise-filtering components, courtesy of some DIY chokes wound through tubular ferrite cores and capacitors on the AC inlet. Grounding leads can be seen ready to connect to various chassis panels. 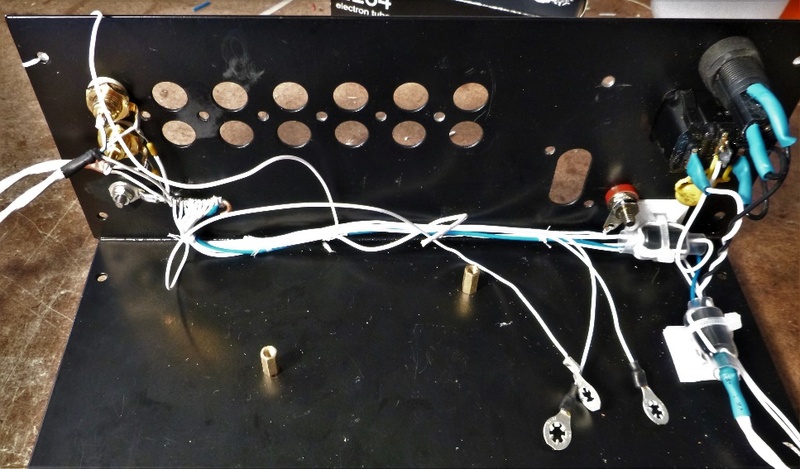 All of these grounds tie every chassis panel, the turntable grounding post, AC inlet ground, the frame of the volume pot and the circuit board ground to a common point. I find this methodology especially helpful for the elimination of external interference. Power supply diode switching noise was addressed by replacing the B+ supply rectifiers with fast recovery diodes, and bypassing both these and the filament supply bridge rectifier with noise-snubbing capacitors. Those interested may click on this link and start at the second page for similar wiring details. All of the changes made are reversible should a future owner desire, except for one. I’ve added an LED to the front panel to indicate power-on. It’s been done subtly, in an amber colour that is in keeping with current EAR components. As a basis for comparison, I used my prototype TubeCad Tetra phono stage, an overachieving entry into tubed phono preamplification. Vinyl fans willing to invest about $500 US, some sweat equity, and follow my instructions to the letter, can have themselves a low-noise and good-sounding phono stage that’s competitive with $2,000+ commercial units. Since the Tetra series of articles was written, the prototype has been tweaked with $200 worth of Mundorf silver oil caps, and two of its tubes have been upgraded to NOS Mullards. Comparison of the C.L.E.A.R. to my Tetra is less fair than it would be to one made from the stock kit of components. Also, the Tetra is not exactly comparable to the C.L.E.A.R. The Tetra is just a phono preamp, and doesn’t have a volume control and input switching. All the same, if the C.L.E.A.R., after all of its trials and tribulations, can approach, or even meet the performance of the Tetra, it might be considered a good performer. The good news is that the changes made to the wiring and layout have completely eliminated the FM radio break-through that I observed in my “pre-mods” evaluation. The hum level is noticeably lower too. In fact, the only way I hear any hum or hiss from the C.L.E.A.R. now, is if the volume control on my line stage is set to maximum. The C.L.E.A.R.’s volume control was set to max as well. These volume settings far exceed anything used in playing music. With the volume set to even what would be a very loud setting playing music, hum or hiss were barely audible with an ear pressed against my speakers, and not at all from a foot or more away. 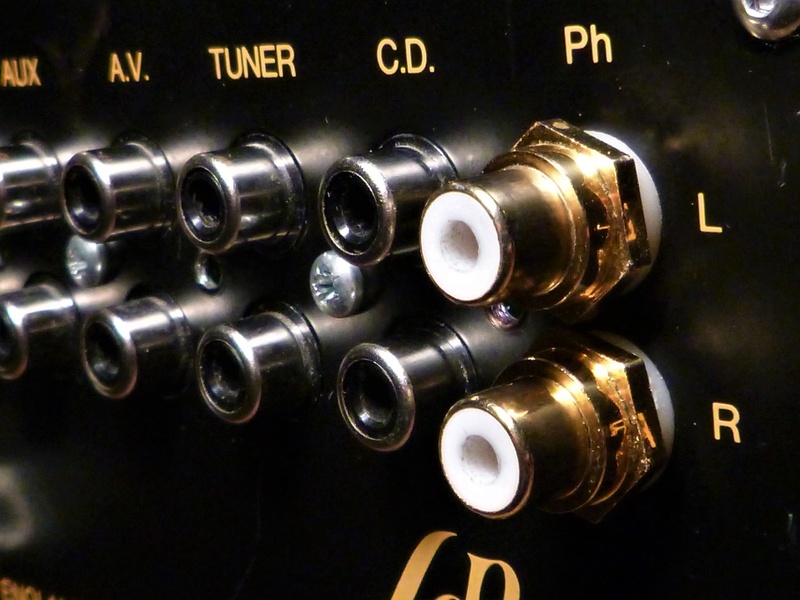 As with all tube phono preamps, low-noise tubes are a must. Not all the positions require low-noise tubes though. Typically, the closer a tube is to the input jacks (in the circuit), the quieter it needs to be. This is the case with the C.L.E.A.R. V1, as designated on the circuit board, needs to be a low-noise tube, and preferably one that has minimal microphonics, as well. The rest of the evaluation system consisted of my PS Audio AC regenerator, Pro-Ject “The Classic” SB Super Pack turntable, Ortofon Quintet Bronze low-output MC cartridge, K&K Audio Premium SUT, Audio Research Reference 3 line stage, Audio Research Reference 110 power amp, and Spendor D9 loudspeakers. I started out with the Miles Davis album pictured below, and then switched to the Vaughan Williams. I had set the K&K Premium SUT to the 24dB gain position, but loud passages containing a lot of high frequency content sounded a bit strained played through the C.L.E.A.R. After thinking about it for a while, I wondered if this gain setting on the SUT was too high, and overdriving the phono amp. Yes, in fact the gain was too high. Once the K&K was set to the 18dB gain position, the C.L.E.A.R. was much happier. The high frequencies especially sounded less stressed and more fluid. There’s a lesson in this, I think. SUTs are not a one size fits all proposition. When considering a SUT purchase, choosing one that has at least two gain settings might be advisable. The recordings used are some of my favourites. Some of you may have seen them in my previous reviews where vinyl has been the source. 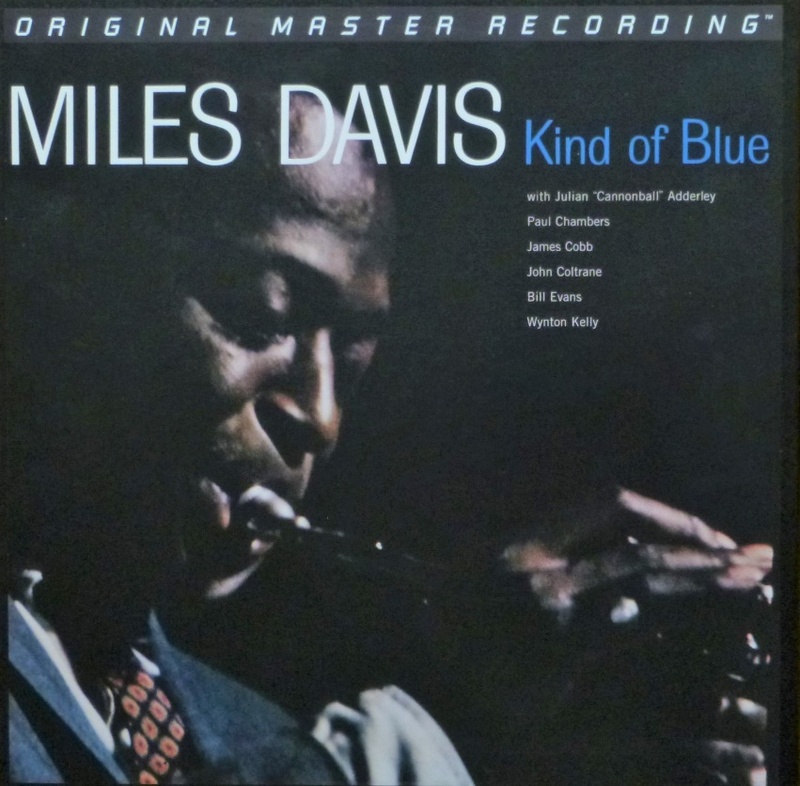 The Miles Davis classic Kind Of Blue, I have to be careful not to overplay. The track, Blue In Green, I know very well. The Tetra beat the C.L.E.A.R. by a nose with this recording. Piano and sax notes had slightly better start and stop with the Tetra, and Miles’ trumpet had a more burnished quality. To hear these differences on KOB and with the following albums as well, I had both phono stages connected to my ARC Ref 3’s line inputs. I’d play a track with the C.L.E.A.R., then switch over to the Tetra and play it again. 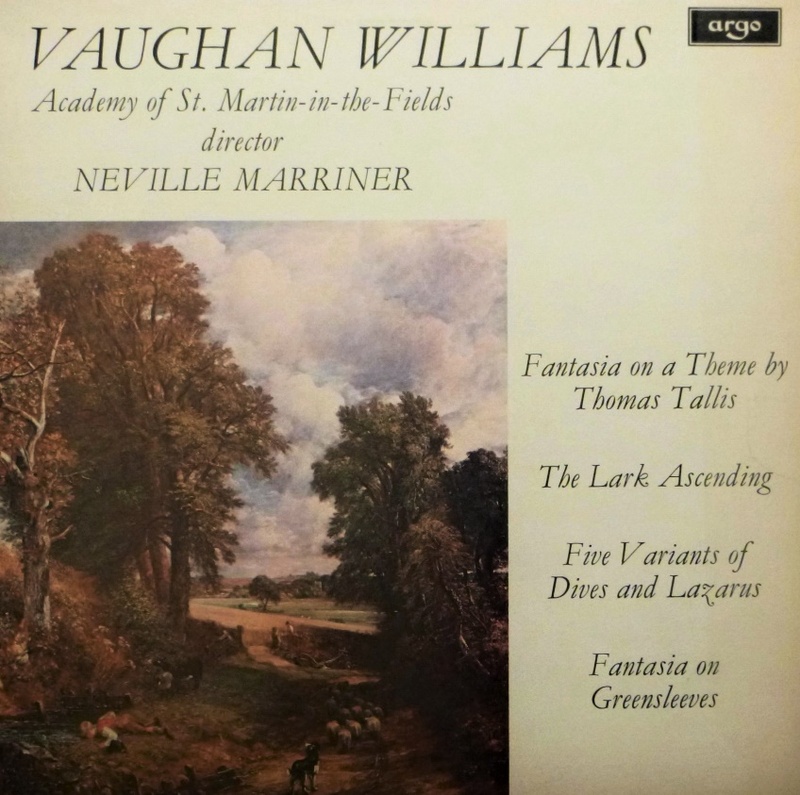 The Lark Ascending from Ralph Vaughan Williams is another that I never tire of. Even the subway trains heard a few times through the recording, while distracting, give the performance a sense of place. The aforementioned loud passages were a bit clearer and less strained with the Tetra, even after the SUT gain was corrected. The sonic image of the orchestra was more three dimensional with the Tetra, and the acoustics of the recording venue were more apparent too. I preferred the Tetra with this recording. This one was more of a casual listen. 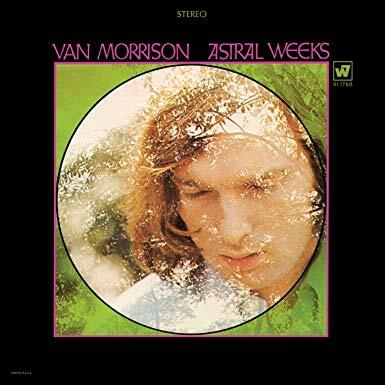 An audiophile friend is a huge Van the Man fan, Astral Weeks being his favourite. We just spun this LP with the C.L.E.A.R. doing phono duties, and he was bowled over, finding it an ear-opening experience. 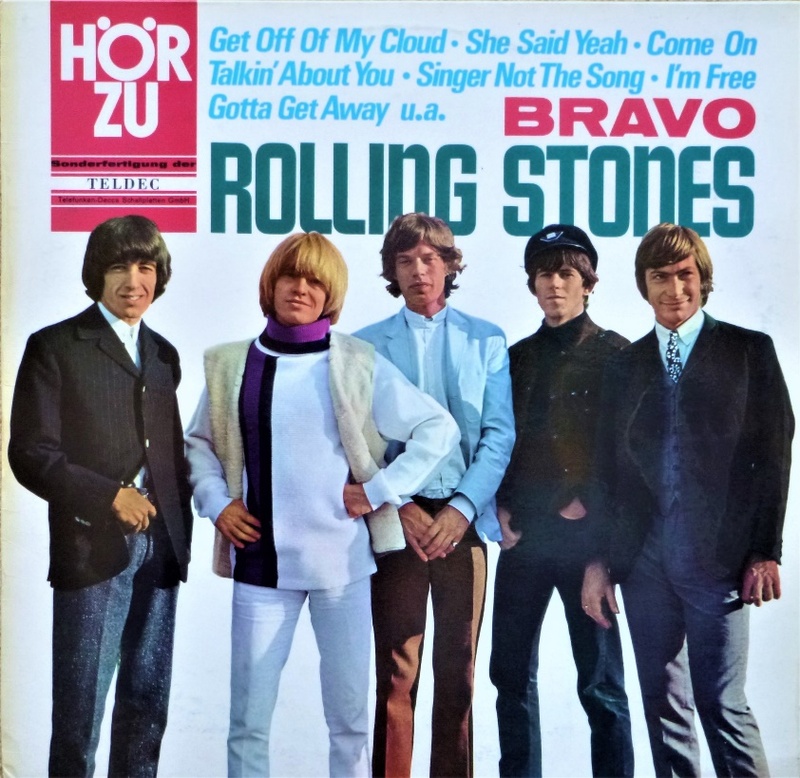 A German pressing on the Hor Zu label of the timeless Rolling Stones Bravo LP is a classic, warts and all. Hearing Keith click on his fuzzbox on Satisfaction, and the other raw production values, gives this one more of a live feel than almost any Stones recording made a decade later. With this record, the buttoned-down nature of the Tetra was bested by the C.L.E.A.R. The C.L.E.A.R. expressed the raw nature of this album better, by a noticeable margin. 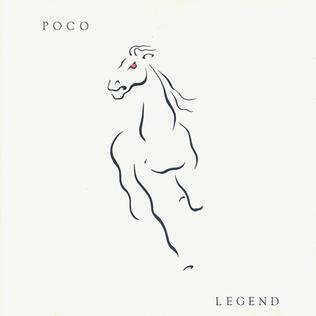 Crazy Love from the Poco Legend LP was generally similar on both phono amps. I marginally preferred the Tetra for its smoother, more spacious and slightly more detailed presentation. Listening to tracks from the above albums, the C.L.E.A.R. sounds quite respectable. It has a bit more drive and pace than my Tetra. The Tetra is a little bit quieter, with slightly less background hiss and hum. The Tetra is clearer and more detailed, though not harsh or fatiguing. In the bass, the Tetra is slightly more detailed as well – but the C.L.E.A.R. is a bit faster, with slightly better pace and rhythm, when called for. The Tetra sounds noticeably more poised, whereas the C.L.E.A.R. is a bit more rambunctious. Not that rambunctiousness is a bad thing. The Tetra is slightly more ‘together’, in a buttoned-down sort of way, and noticeably more composed with loud passages that have a lot of high frequency information. Of course, the good thing/bad thing about tube equipment is that the sound can change with a tube swap. (More on this later.) The C.L.E.A.R. 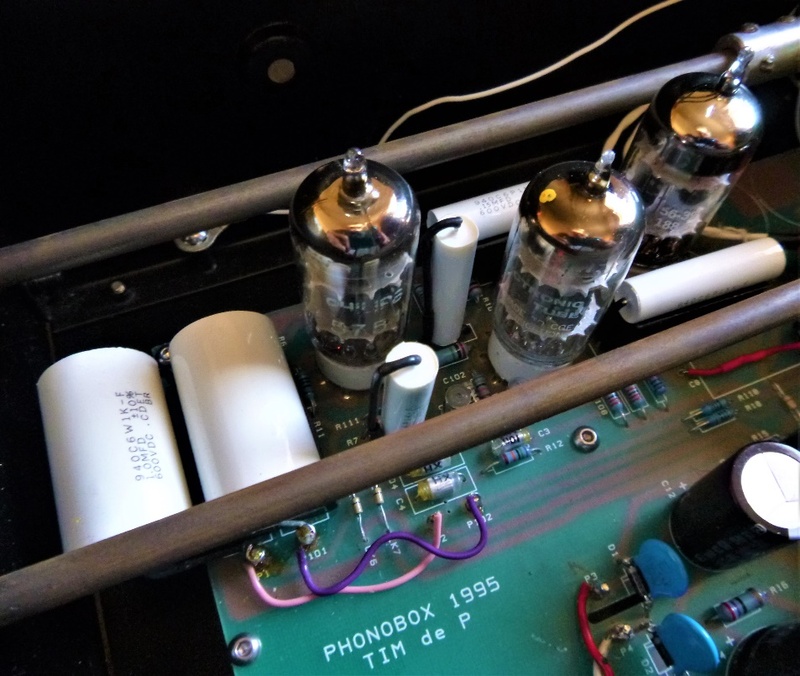 had two Sovtek tubes and an ancient but decent-testing Dutch Amperex (from my stock of old used tubes) installed. All in all, the C.L.E.A.R. is a decent performer, especially in view of its age and background/history. The C.L.E.A.R. has noticeably more gain in my system, though it wouldn’t be a reason to prefer it over the Tetra. The factory installed coupling caps are nothing to get excited about. Bespoke Teflon or precious metals in oil can’t be expected unless you are spending many times the price of an 834P. All the same, EAR might have been a bit more generous on their swing through the parts bin. In this instance, the problem with implementing a coupling capacitor upgrade is the compact dimensions of the circuit board. There just isn’t room for an upgrade to even semi-fancy Mundorfs or similar luxe capacitors. I did manage to squeeze in some well-regarded Cornell Dubilier 940C caps, which punched above their weight in a price/performance bout. Link to cap test. I made a few plastic supports for the upgrade caps so as not to stress the circuit board or the caps during transportation. Double sided tape anchors these components should removal be desired. Replacing old parts on a piece of stereo gear with new is, in some ways, like starting with a brand-new component. Any new component requires break in time. New parts can’t be dropped in, the component switched on and 10 minutes later a meaningful evaluation made. To this end I left the C.L.E.A.R. running for several days, fed an audio signal from my digital player/DAC via a Hagerman Audio inverse RIAA network. Roughly one hundred hours later I re-auditioned some of recordings used above. Again, comparing to the Tetra, the differences were much like before. The C.L.E.A.R. did sound slightly smoother with the new caps. 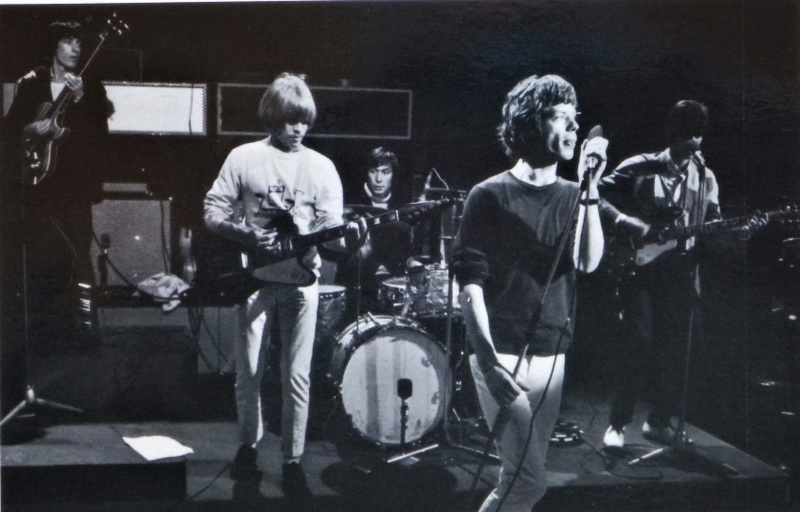 All in all, it was an improvement, though the Stones sounded a little less raw. The coupling cap upgrade, costing all of 40 bucks Canadian including taxes, was well worth it in my opinion. As detailed above, the Tetra’s soundstaging was deeper and better defined than the C.L.E.A.R., though the new caps had closed this gap noticeably. All of these comparisons are a bit unfair to the C.L.E.A.R., because of the upscale tubes and caps I now have installed in the Tetra. Up to this point I had been running the C.L.E.A.R. into my line stage. I connected it directly to my power amp with a pair of RCA to XLR adapter cables (the ARC REF 110 only has balanced inputs). 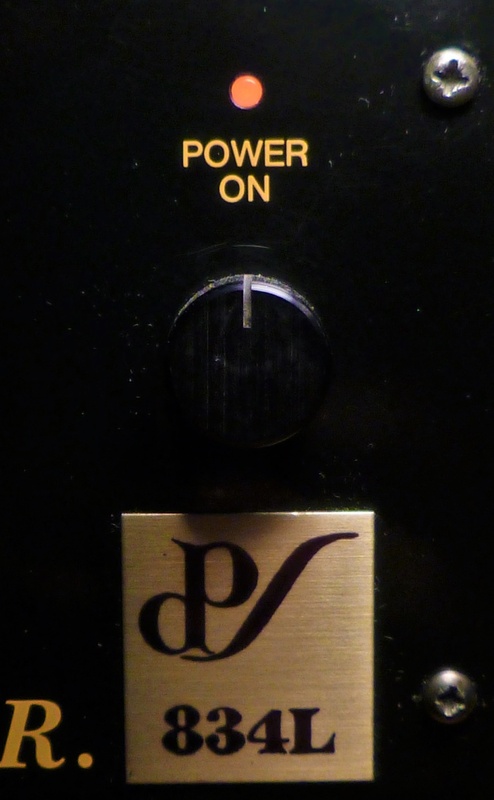 This seemed to work well when used on the phono input. Other line inputs are routed through the volume control in the C.L.E.A.R., then to the output jacks. This is effectively a passive preamp on the line inputs. I’ve never been a fan of passive stages, but in this instance it seemed reasonably good, in a quick listen using my DAC. So, there you have it. After surviving some neglect, the C.L.E.A.R. is ready to make music again. I think it could be a decent centrepiece of a system that’s primarily based on vinyl as its source of music. Having the ability to control volume, and switch in other sources is handy too, and eliminates the need for a line stage. Is it a Classic? Possibly. If you don’t mind that someone has coloured outside the lines a bit. Heritage? Maybe. Supposing you broaden that definition a bit to include a creative circuit board swap. Exotic? Not especially. Its no Shindo, let alone a MacIntosh or a QUAD. To contradict Mick and the boys, maybe you can have some satisfaction. There are audiophiles who may question the C.L.E.A.R.’s parentage, or raise a brow at my “personalised” modifications. A music lover, on the other hand, will look past the warts and scars on this unique piece, close their eyes, and just enjoy some music. The 5751 tube is, in a first order approximation, an industrial version of the 12AX7. Granted, it has a tad less gain, and draws a tiny bit more filament current. NOS versions sport more rugged internal construction than 12AX7’s. The 5751 can, in some instances, be used as a plug and play substitute for a 12AX7. The C.L.E.A.R. connects the filaments of all three tubes in series. 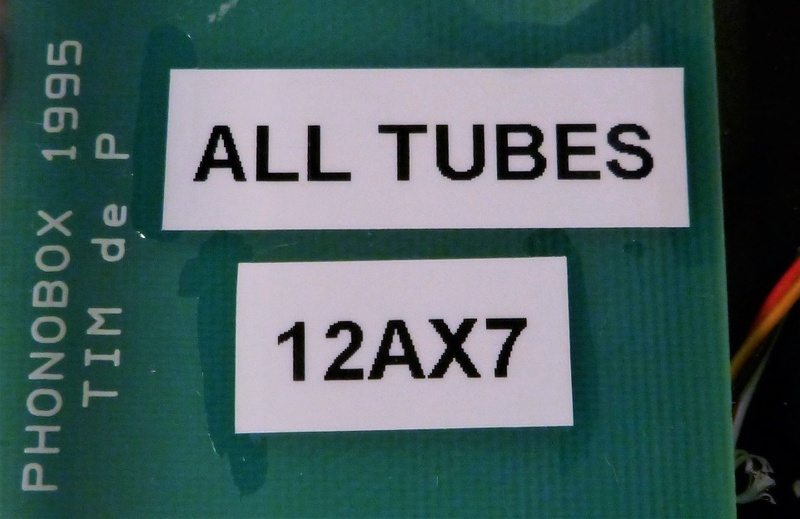 To cut to the chase, this means that all three tubes must be of the same designation. All tubes must be 12AX7’s, or all must be 5751’s: no mixing. I found in my stash of tubes, three 5751’s: two NOS GE’s and one used Siemens SQ. Of course, it was too much to resist, so I installed them and let the amp run for 24 hours before doing some more listening. Again, I compared my Tetra to the C.L.E.A.R. with the Vaughan Williams track used previously. I was tiring of the Stones, so I played side one of TajMo. With the 5751’s on board, the sound of the C.L.E.A.R. moved closer to the Tetra, no bad thing in my estimation. The Tetra has a deeper soundstage and a slightly sweeter sounding midrange and lower treble on the Vaughan Williams track, but the C.L.E.A.R. has closed the gap some, in this regard. 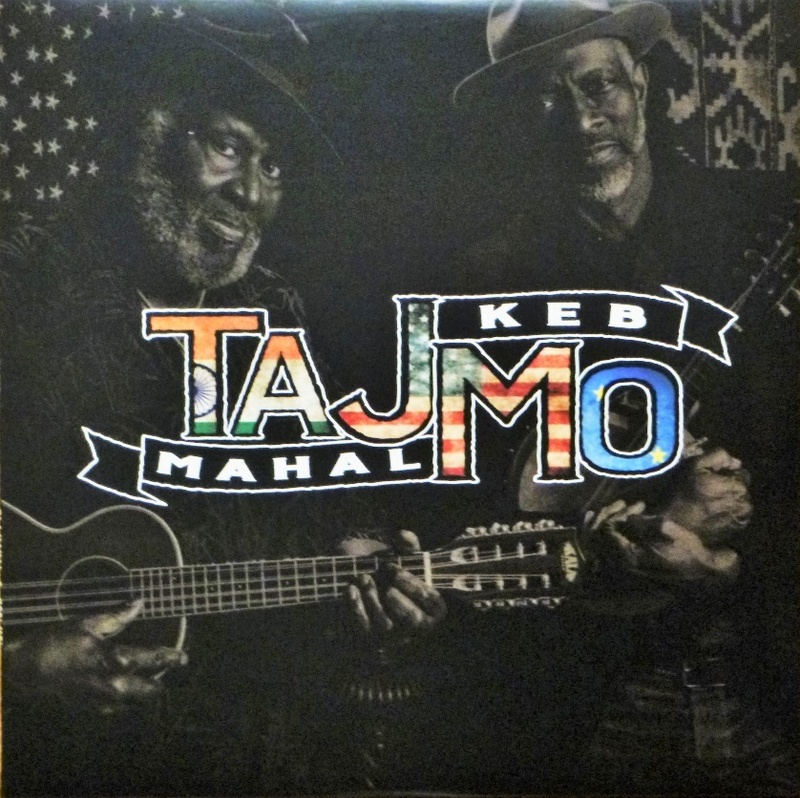 Taj and KebMo’s vocals were slightly more articulate with the C.L.E.A.R., the Tetra a bit smoother. In the bass, the Tetra had more bounce, and went deeper too, while the C.L.E.A.R. countered with slightly more articulate bass. I could live quite happily with either amp. If you are already an 834P owner, tracking down some NOS 5751 tubes might just net a worthwhile sonic upgrade. As mentioned previously, make sure you get one selected for low noise and microphonics for the V1 socket. Thanks once again to Dan Travers of Midland Tool and Machine. Dan’s generosity in allowing me the use of a milling machine enabled the modification of the front panel, and fabrication of supports for the upgrade capacitors. It’s much appreciated, Dan. 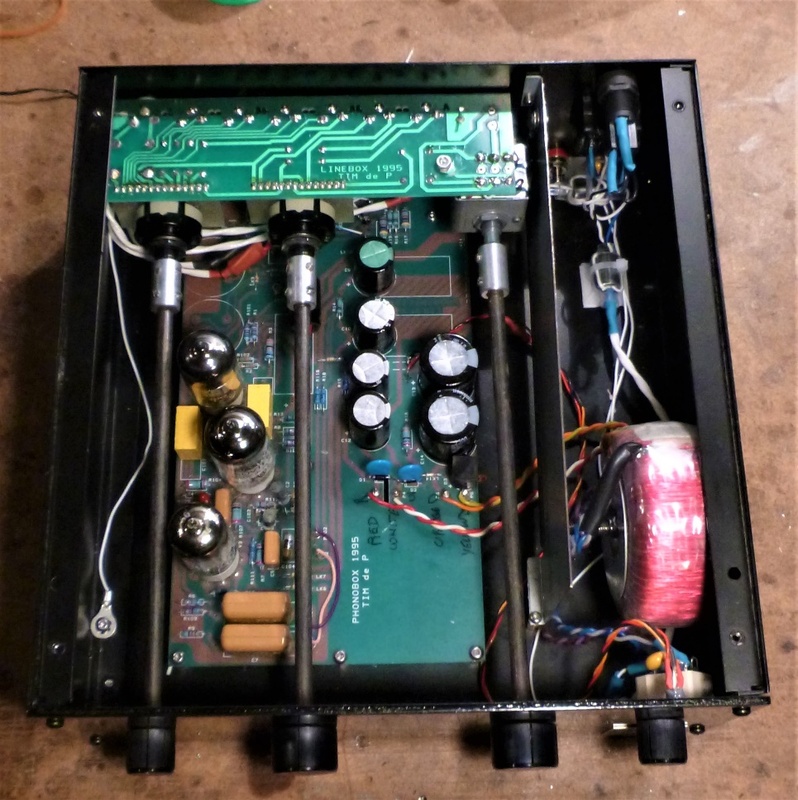 DIY All-Tube Phono Preamp Project: It’s on!